April is our peak month for Bull trout on the Squamish river which is only 50 minutes from downtown Vancouver. This classic British Columbia river holds good numbers of Bull trout plus wild Steelhead, Rainbows and Cutthroat. Fly fishing has been fairly good recently for some nice Bull's and with conditions improving it's just going to get better. It's safe to say that you should feel confident in booking a trip here anytime this month. Our guides can pick you up from your hotel and we always supply top quality gear and waders. Our knowledge of this river is outstanding as we have fly fished here for over 2 decades. We offer walk n wade or you can float the river in a drift boat. If you want a multi day package we can arrange that too. 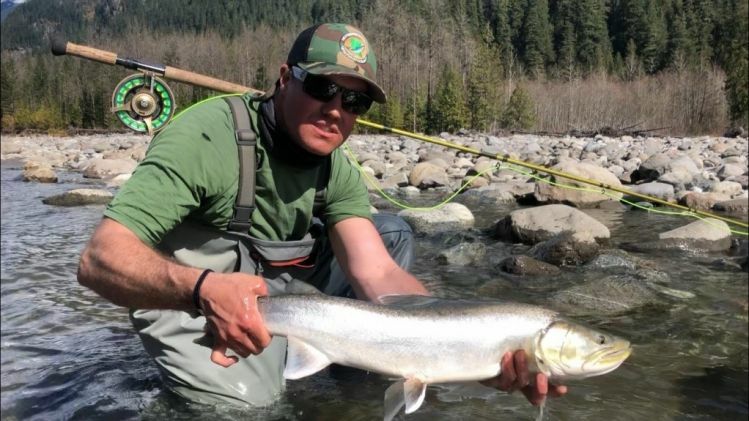 Looking ahead into July there are plenty of Pink s View more...April is our peak month for Bull trout on the Squamish river which is only 50 minutes from downtown Vancouver. This classic British Columbia river holds good numbers of Bull trout plus wild Steelhead, Rainbows and Cutthroat. Looking ahead into July there are plenty of Pink salmon and a few Chinook salmon to swing your fly into.